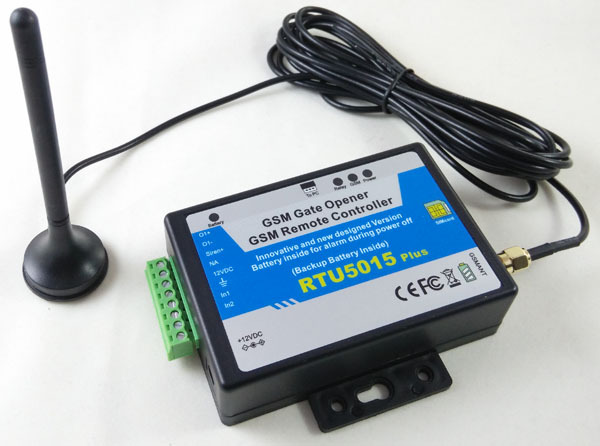 The GSM Gate Opener RTU5015 Plus is a very simple device which can be used for authorized door access, controlling gates, switching of remote equipments, car parking systems. 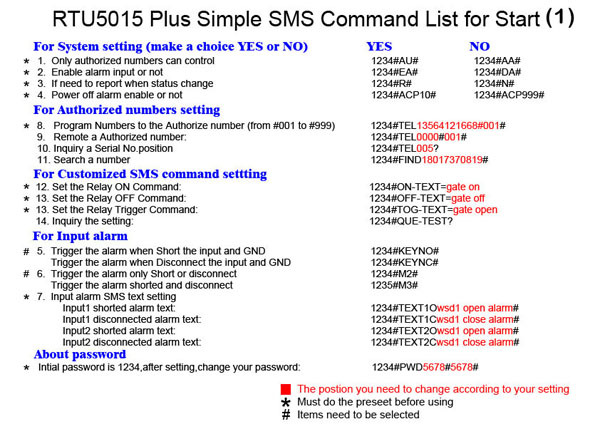 Actually the GSM Gate Opener RTU5015 Plus can be used in places which require to turn ON/OFF your system, machines, equipments remotely with a FREE call from your mobile phone. 10. 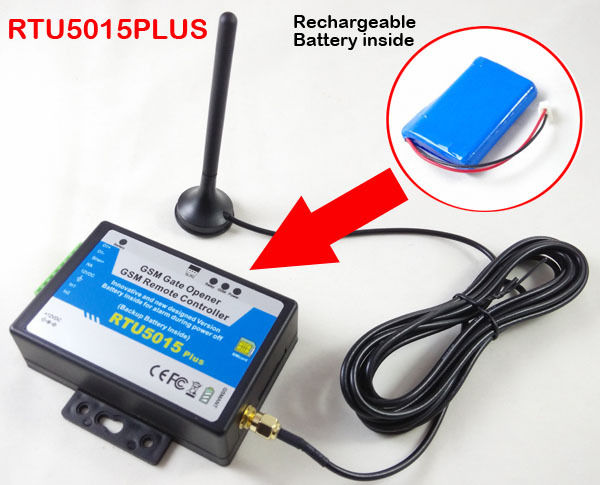 Backup battery inside for power off alarm. 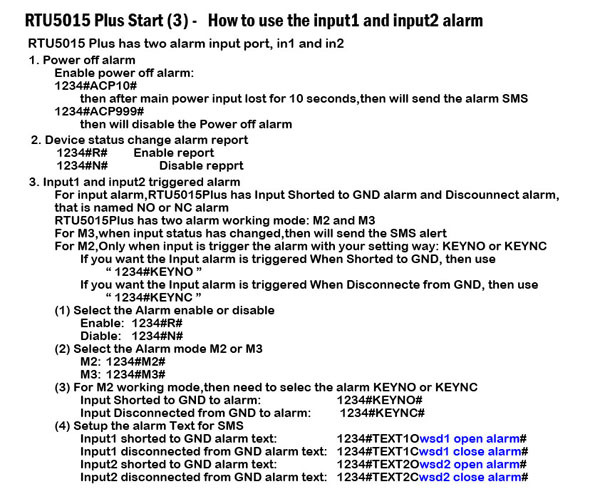 also during power off,it can still monitor the alarm input.